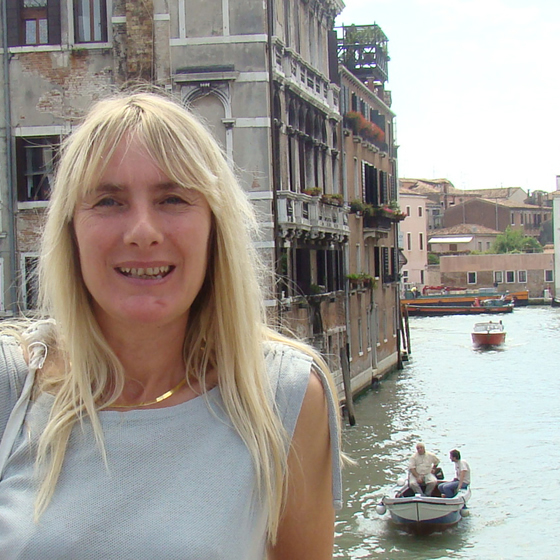 Jane lives and works in the New Forest having trained initially in graphic design at Farnborough. She has worked as a designer for 25 years and is also an author, illustrator and sculptor. She draws inspiration mainly from the natural world for her subjects. 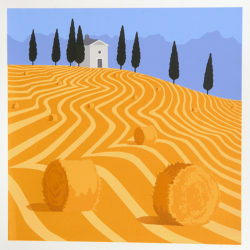 Experimenting with all forms of printmaking she rapidly discovered her design training encouraged her to simplify a subject into crisp areas of flat colours. 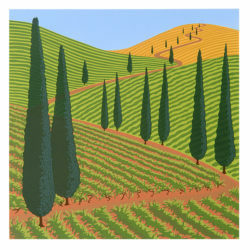 Screen printing was the perfect medium to explore this and she produces hand pulled limited edition screen prints of landscapes and other subjects that can be translated into her bold and contemporary style. She finds the printmaking process fascinating as it requires a blend of creativity and technical knowledge to achieve the final result and is exciting to see the image develop at each stage as the colours are laid on top of each other. 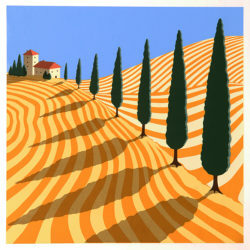 Jane is particularly inspired by the warmth, patterns and hues of Italy having travelled widely in the country and has produced a set of complimentary prints on this theme that reflect the qualities of the Tuscany countryside. 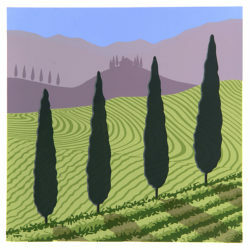 Her prints have proved popular both in the UK and to buyers abroad.